9ct White Gold Pendant with 0.15ct Diamonds. 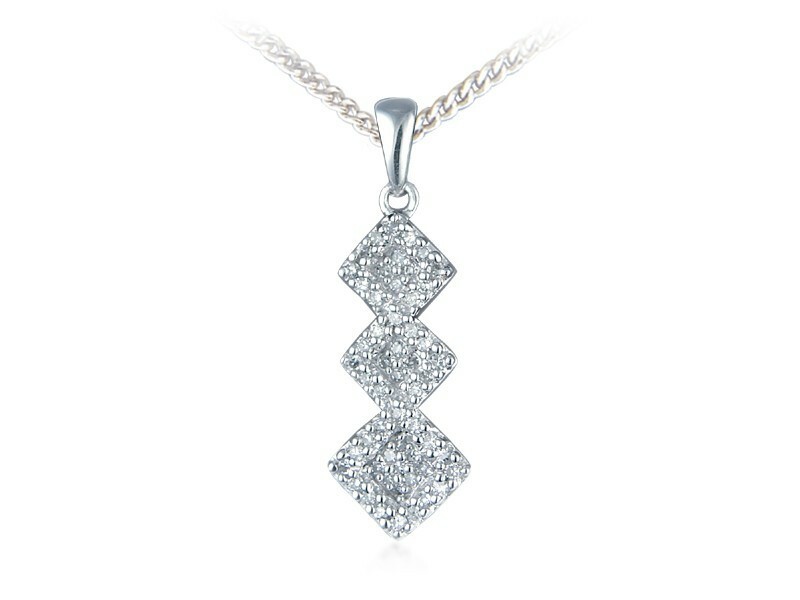 9ct White Gold Pendant set with Diamonds. Total Diamond weight 0.15ct (chain available but not included). 9ct Yellow & White Gold ring with 0.20ct Diamonds in white gold mount. 9ct White Gold ring with 0.20ct Diamonds.